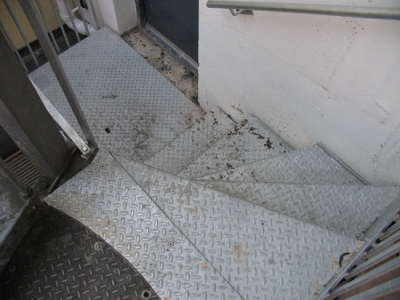 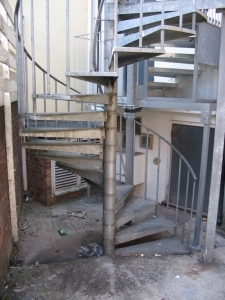 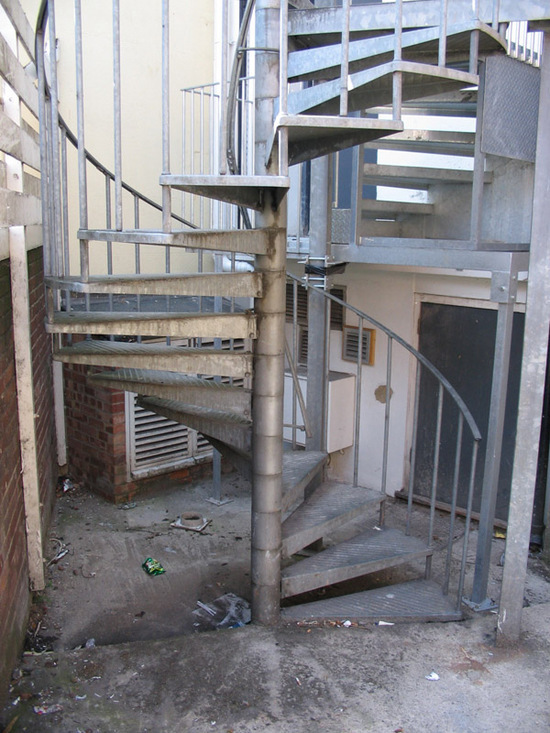 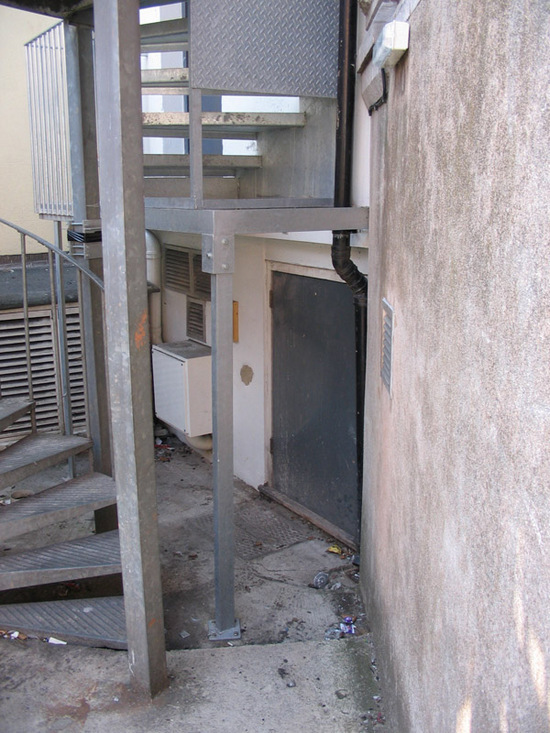 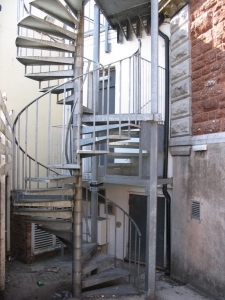 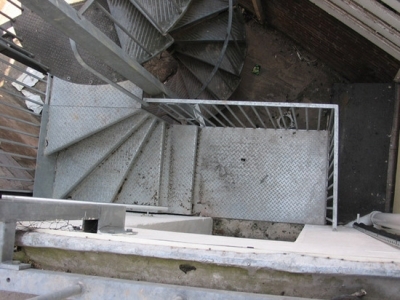 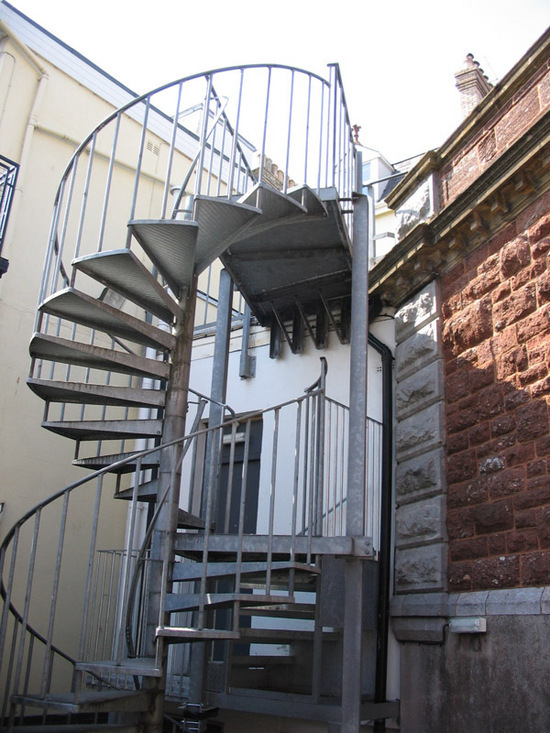 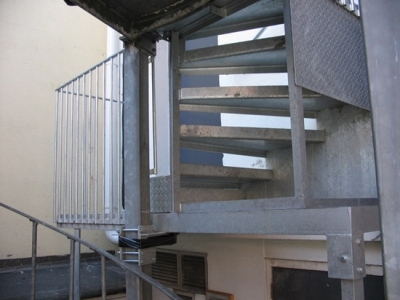 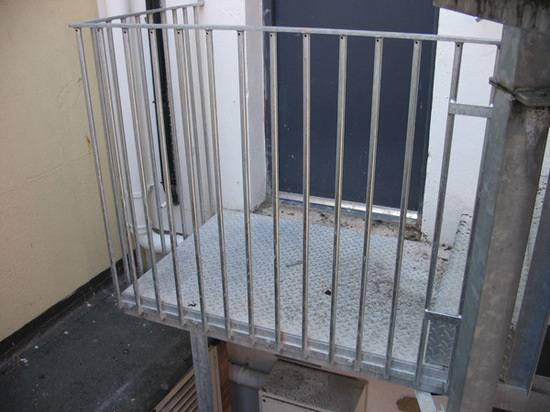 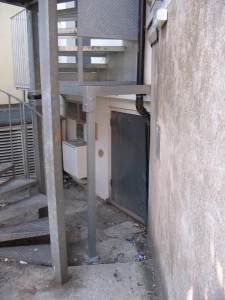 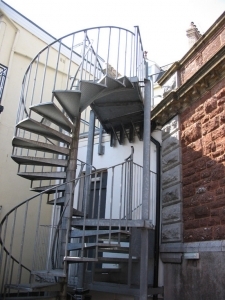 This project in Paignton was to provide an access to the sprial staircase to give fire escape route for another metal door which was being installed. 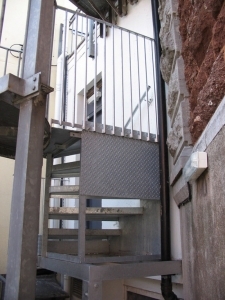 The structural steel for the landing had to be a bespoke fabricated to fit into the limited space that was available. 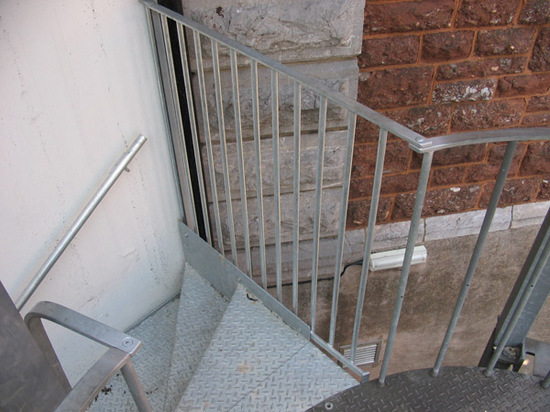 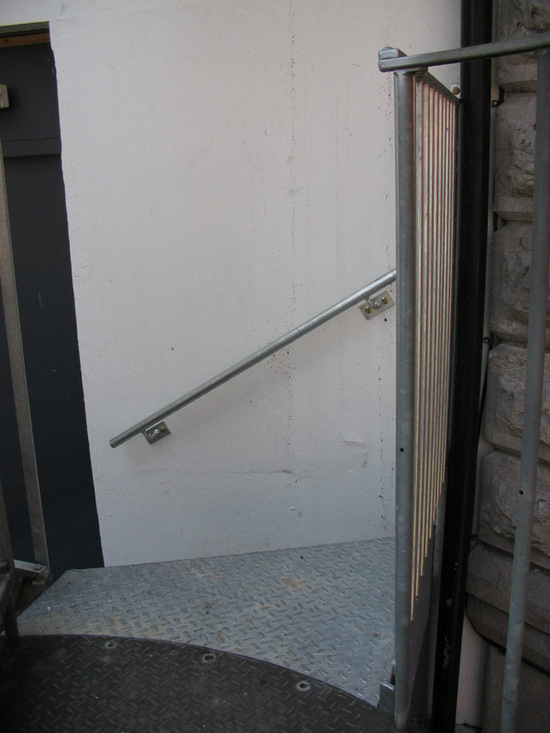 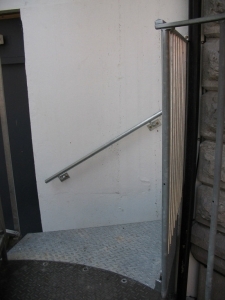 It was installed with its own set of chequer plate steps and a new handrail was built to splice into the existing spiral handrail.